As the government shutdown approaches its fifth week, Border Patrol agents still roam the Rio Grande and the international bridges are still open. But some federal immigration proceedings have ground to a halt and thousands of hearings have been canceled. Farther west along Paisano street and across Interstate 10 from the University of Texas-El Paso, more green-and-white vans sat parked just south of the fencing that has dotted this part of the border for more than a decade. Meanwhile, the pedestrian line for travelers returning to El Paso from Ciudad Juárez moved steadily, and eight of the 12 vehicle lanes were open and operating normally, despite the shutdown that has forced Customs and Border Protection officers and U.S. Border Patrol agents to work without pay as Trump demands $5.7 billion for a border wall before he'll sign a spending bill to re-open the government and Congress resists. But despite the feeling of normalcy, a current Department of Homeland Security agent who previously worked for the Border Patrol and Customs and Border Protection said the federal employees on the front line of the national immigration battle are beginning to feel the strains of the impasse. That anxiety isn’t isolated to the country’s borders. Some of the nation’s busiest airports are seeing long security lines as an increasing number of Transportation Security Administration agents refuse to work without pay; small businesses with federal government contracts aren't getting paid either. 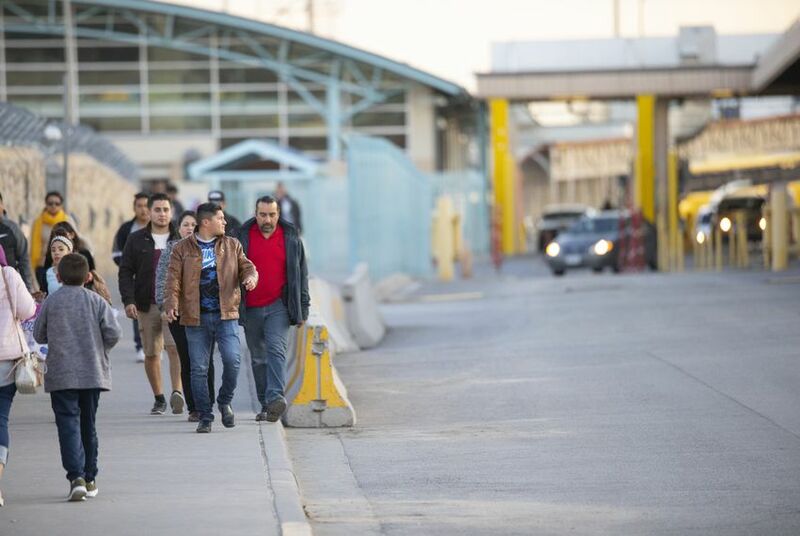 In El Paso, immigration attorneys whose clients are waiting for court hearings are worried about how the stalemate is going to affect those cases now that federal immigration courts are closed except for cases involving people held in detention. According to the Transactional Records Access Clearinghouse, or TRAC, at Syracuse University, more than 42,700 immigration hearings have been canceled as of Jan. 11, including 5,141 in Texas — the third-highest total after California and New York, where 9,424 and 5,320 cases have been canceled, respectively. The cancellations come as the backlog of immigration cases skyrocketed to 809,000 in November, according to TRAC data. If the shutdown continues through the end of January, the TRAC report states, New York, Texas and Florida could each see more than 10,000 hearings canceled. On Monday, he was unsure whether he would have to hustle to Los Angeles later this week to represent a client there because as of Monday, the hearing was still scheduled. Another client is in North Carolina and had an immigration hearing scheduled in Texas at the end of the month but, like the California hearing, it will be canceled if the shutdown continues. After Beckett helped both immigrants in posting bond and filing their asylum claims, they told Beckett they would find new attorneys outside of Texas — but he said he isn’t able to file motions to withdraw or to change venues. Clerks are still accepting paperwork, but the clock on those requests won’t start until the government is back to operating under its normal schedule. Beckett said the irony is that Trump’s administration has pushed to speed up deportations and asylum decisions to make a dent in the backlog of cases that can take years to resolve. “I feel bad for government employees, but I believe that this administration is 100 percent at fault,” he said. 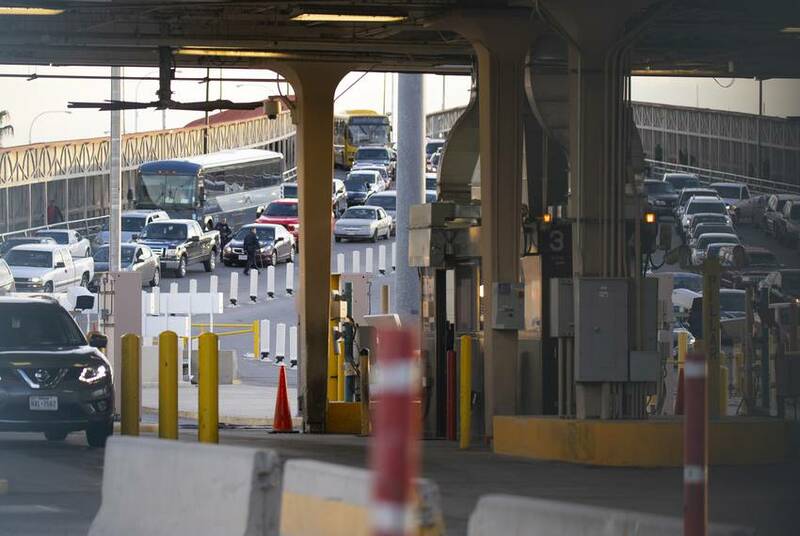 The DHS agent said Border Patrol and Customs workers have become accustomed to working overtime, including double shifts. And that doesn't end during a shutdown. “When you sign up you’re basically saying that you’re willing to work overtime, whether it’s voluntary or whether they order you to work it," the agent said. He added that in his experience, he doesn't see that the current barriers on the U.S-Mexico border are stopping illegal crossers — and he supports the president's effort to build something that will.